Our employees are a critical part of your child’s experience. Each one is a unique and important member of the Beacon team. We hope you will take few a few moments to learn more about them. Treatment Centers now open in Hopedale and Leominster! For those new to the field and looking to gain experience. Positions available at all degree levels. Even employees with minimal experience can become highly effective therapists. Associate Behavior Therapists receive comprehensive training and learn to implement behavior programming written by Behavior Therapists. For those with at least two years ABA experience who are eager to take the next step on their career path. Expand your knowledge by writing skill programs and progress reports, training Associate Behavior Therapists in vivo, and collaborating with early intervention professionals and families. Current opportunities in the areas around our North Andover, Leominster, Rockland and West Springfield regional offices! Whether you just passed the exam or have several years of experience, Beacon provides many opportunities to use your skills and expertise to provide clinical supervision, participate in research, attend conferences, and earn CEs! Are you an experienced Board Certified Behavior Analyst? For BCBAs with at least three years of experience in applied settings developing and implementing behavioral interventions and teaching programs. If you are interested in organizational behavior management and designing staff training and support systems, Beacon is looking for you! Immediate need in Western, MA! Are you a Licensed Psychologist seeking to work with young children with developmental disabilities? For Clinicians who hold a doctorate degree in Clinical Psychology or related field with at least two years of experience conducting psychological evaluations, neuropsychological assessments, designing behavioral interventions or providing individual/family counseling. Join Beacon ABA Services and the Beacon Assessment Center and use your expertise to change the life of a child! 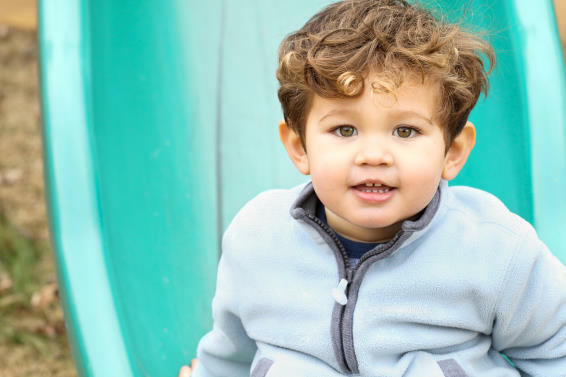 Our SLPs conduct comprehensive speech-language and AAC evaluations, as well as provide center-based therapy to young children with developmental speech, language, social communication, and feeding disorders, including ASD. Our therapists work collaboratively with families and home-based treatment teams to integrate therapeutic support across environments in order to produce the best outcomes. We are currently seeking an experienced full time Business Operations Manager to work at our corporate office in Milford, MA. If you have a strong operational background in human services or behavioral health, this is a great opportunity to work for a growing company and play an integral part in making a positive difference in the lives of the families and children our organization provides services to! Our staff travel to clients’ homes, daycare programs, and other community locations where the child feels most comfortable and is likely to make the most progress. 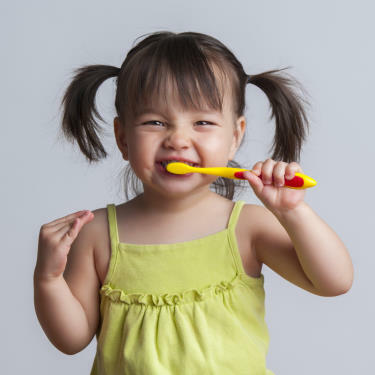 During each 2-3 hour session, therapists teach children the skills that they need to attend to others, communicate, share, take turns, play with toys, and conduct activities of daily living such as washing hands and brushing teeth. Therapists design teaching sessions to be fun and interactive. Throughout each session, parents and caregivers are present and involved so that they can continue to practice the skills with the child after the therapist leaves. Supervisors also overlap in sessions each week to answer any questions and to provide therapists with ongoing training and support. A day in the life of a Beacon staff member provides many opportunities to make a difference in improving the lives of children with autism! Should I apply even if I am not sure I am qualified? Yes! We are always excited to receive your application. Even if your resume does not meet the current qualification requirements, we will have you on file should these standards change in the future. Beacon has an exceptional orientation and professional development team, and we are very confident that we can provide you with the training that you will need to become a highly skilled professional, even if you currently have very little experience. Once you have successfully applied through the beaconservices.org website, you will receive an email notification to inform you that you have applied successfully. If your education and experience are consistent with our current employment needs, a representative from our recruitment department will contact you to discuss the position further and to arrange an interview in the area office nearest you. These offices are located in Milford, North Andover, Rockland, West Springfield, North Dartmouth, Leominster, and Sunderland. Once you submit your application, relax and let us take over from here. If you are scheduled for an interview, your recruiter will provide you with all of the information you will need about the next steps in the process. Generally, how long does it take before I can begin? We are eager to have qualified candidates join our team and begin making a difference in the lives of children and families throughout the Commonwealth! Qualified applicants can expect to attend an orientation session as soon as 3 weeks after the initial interview. If you are currently working, Beacon respects your responsibility to provide an adequate notice, and we will schedule your orientation to accommodate that notice. How much training will I receive after I am hired? Where do we begin? At Beacon ABA Services, the training will continue throughout your career! The first week after you are hired, you will attend an orientation where you will learn about Autism Spectrum Disorder, Applied Behavior Analysis, and the teaching protocols that you will be using in your work with children. After your initial orientation is complete, you will go into the field and overlap with a skilled therapist who will demonstrate these protocols and provide encouragement and feedback. Be assured that you will not be working alone until you have received the support that you need in order to capably complete a session with the children you will be working with. But it does not end there! During your first 3 months of employment, you will receive increased supervision and attend bi-weekly support and training groups in your area office with other newly hired professionals. Rest assured, Beacon has a well designed and organized on-boarding process to optimize your transition to our team! Of course, although it is not necessary. Our recruitment team is trained to evaluate your resume and your recruiter will discuss all the positions that you are qualified for during your meeting. What if I still have questions? Is there someone I can talk to over the phone? We would love to answer any additional questions that you may have. You can reach us at 508-473-3422 ext 235 or ext 304.